Poppy and responsive, but forgiving in all the right places to allow you to take your new tricks to new features with ease. The Stance has become a favorite among weekend warriors and mid-week die-hards, because the Flat-Out rocker, which means the nose and tail have an early lift off, allows for forgiving and effortless progression all over the mountain. 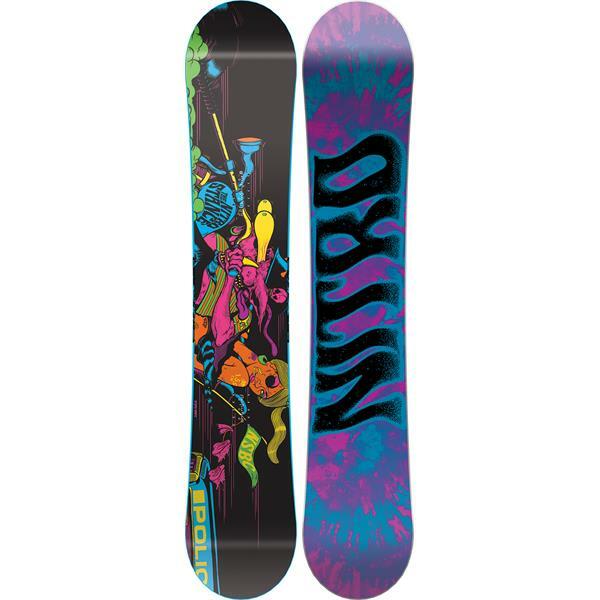 The Stance blends the best aspects of Nitro´s time-and team-tested board technologies with a board shape that allows anyone to carve, jib, or straight-line down the mountain with ease.